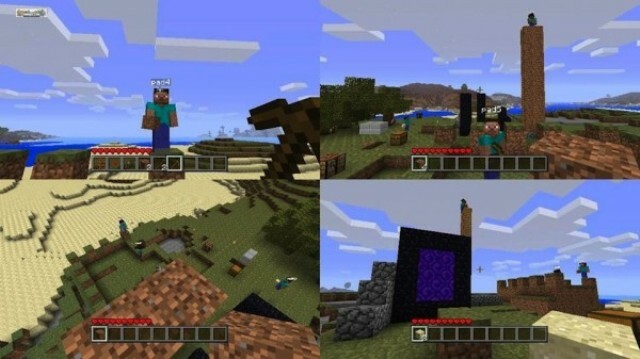 Microsoft, in response to a deluge of complaints from SDTV owners unable to play splitscreen Minecraft, has revised the game’s overview on the Xbox Live Arcade Marketplace, reports Kotaku. For those gamers who lack an HDTV and were unfortunate enough to have purchased the game with hopes of playing with up to three others in splitscreen, the publisher will also be doling out refunds for their 1600 MSP purchase. Previous reports had some gamers receiving full refunds, others being granted only partial reimbursements and others still being outright denied a repayment of any amount. The ability to play the XBLA port of Mojang’s game via local co-op is a feature obviously not found in the original PC version. In a world where PC versions of multiplatform games routinely boast perks such as superior graphics, free post-release content and mods galore, couch co-op was an added bonus that many console gamers were looking forward to in Mojang and 4J Studios’ port. And while those Xbox gamers playing on HDTVs have indeed been able to enjoy the mode since Minecraft‘s May 9 release, those still relying on TVs only capable of outputting in standard definition have been unpleasantly surprised by the game’s inability to split the screen on their sets. An in-game prompt informs the latter set of players of the requirement, but it has done them little good considering they had to first purchase the game in order to read it.